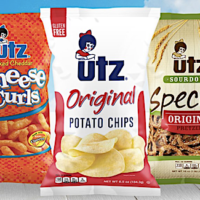 Calling all readers who purchased Utz Quality Foods products in the past! If you’ve made at least ONE qualifying purchase in the USA between December 30, 2010 to March 30, 2019, you may get back up to a $20 Check ($2 for each product)! This settlement is about how Utz Quality Foods falsely advertised their products as “All Natural” when they are not. No proof of purchase is required for up to 10 products but please do not fill out the form if you never purchased these products! Go here for more details and to submit a claim! Keep in mind, this may take months or years to payout. Spread the word!